Christmas is a special time and it wouldn’t be half as good without a Christmas tree! Just a quick glance at these Christmas ecards for business will tell you it’s a magical time and I dare you to not get excited. There aren’t many people who don’t love Christmas and everything it’s about and with this fantastic ecards, you can send your best wishes to those that do (and those that don’t). 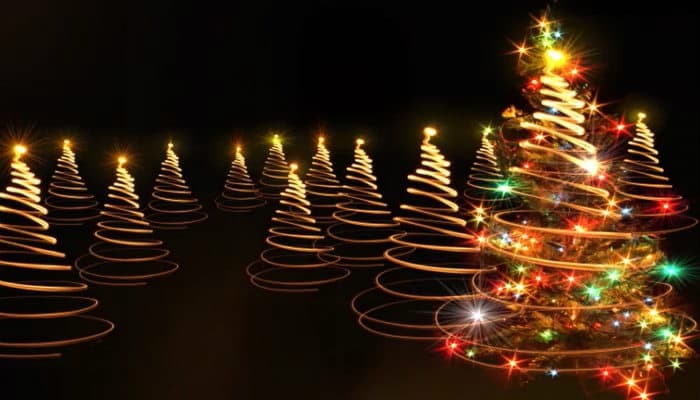 The ecards show lit up Christmas trees with a swirl effect which is a new spin on how Christmas trees are decorated. You’ll see colourful lights and abstract views so whoever receives this card will get a nice modern take on Christmas and all its glory. And, what would Christmas be without spreading the joy? These corporate holiday ecards are the perfect way to say ‘Merry Christmas’ to all those you work with. Add your own message to the ecards and send straight away, making your Christmas card list easier than ever. Give modern Christmas ecards and watch how well people respond to your gesture. There are many more to look at so browse away!